I have bought her mariner's compass books and found them relatively easy to follow if you know how to do paper-piecing. Accuracy in matching and alignment is crucial. Wow!! 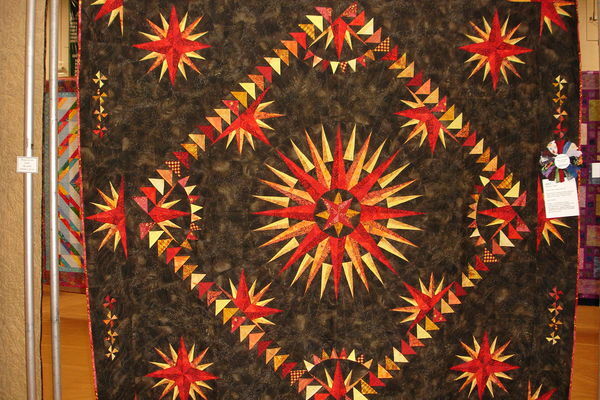 Looked up her quilts and they are really beautiful. Hope you do make one and show us your progress along the way! I have the book and love her work. I would not say they are easy; however, they are so well worth doing. Her directions are great. Go for it! I made this using her book. The center star is from the pattern in the book. The smaller stars I drafted using her instructions.